We have way too many apples in our house. It seems that every time we go grocery shopping, apples seem to make it on the list and into the cart. I know "an apple a day keeps the doctor away", but two people can only eat so many apples. So naturally, I decided to bake something to use up the apples before they went bad, or before our next grocery trip. 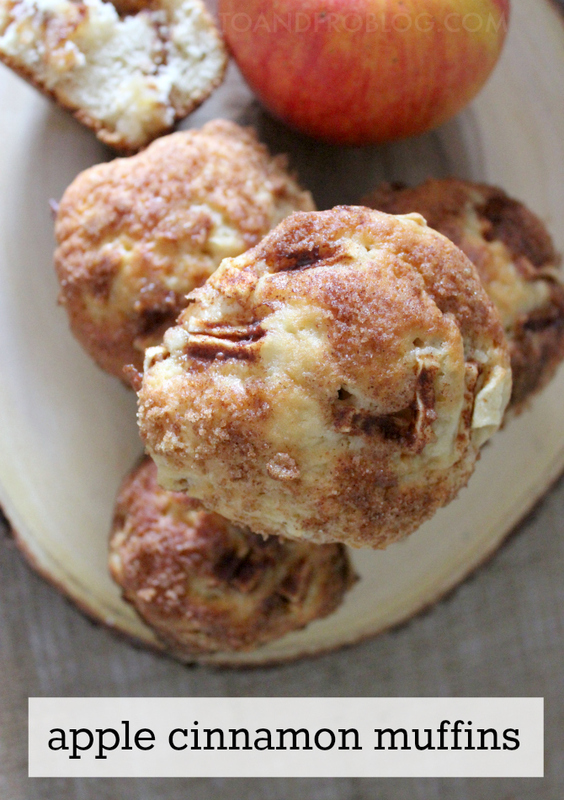 While apples & cinnamon may be associated with fall, these apple cinnamon muffins are the perfect year-round breakfast treat. 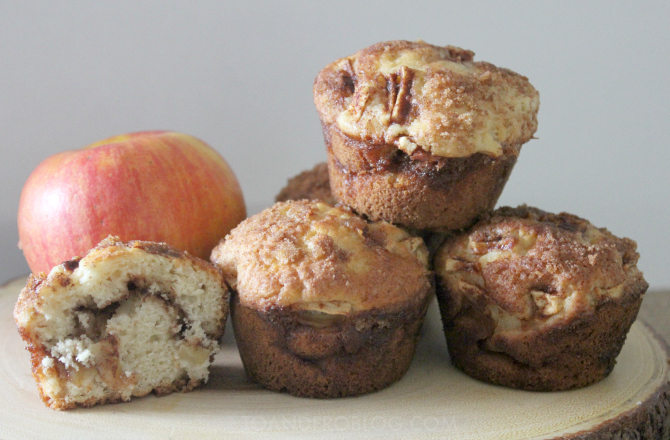 Not only are they full of apple cinnamon flavour, when baking, they will fill your house with the most wonderful smell. Enjoy! Grease your muffin tin, or add liners. Mix brown sugar and cinnamon together in a small bowl and set aside. In a stand mixer (or using a hand mixer) mix together white sugar and butter until smooth. Add eggs and vanilla. Continue to beat on medium speed until combined. Add flour, baking powder and milk. Combine. Add half of the batter to the muffin tin (only fill about 1/3 of the way). Cover the dough with chopped apples. Using clean fingers or the back of a spoon, pat the apples into the dough. Repeat steps 8 & 9 so that the muffins are layered. Bake for 18-22 minutes, or until inserted toothpick comes out clean. Allow to cool for 10 minutes before eating. Enjoy! Note: If muffins aren't your thing, this recipe can also be made as a bread. To make the bread, simply sub the muffin tin for a 9x5 inch loaf pan and bake for 50 minutes. Is this a recipe you would make? What's your favourite kind of muffin?